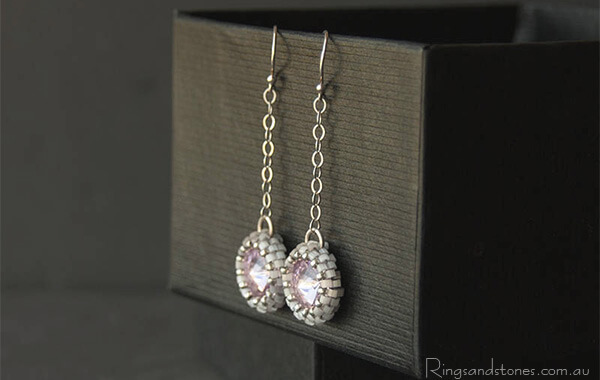 These gorgeous, elegant crystal earrings are perfect to finish off a vintage style glamorous look. 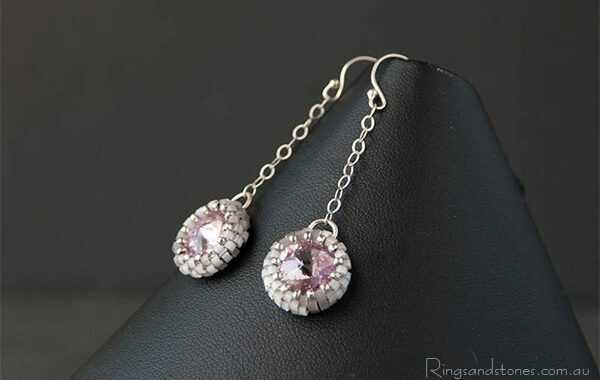 Long and sparkly with a light mauve ultra violet Swarovski crystal stone. 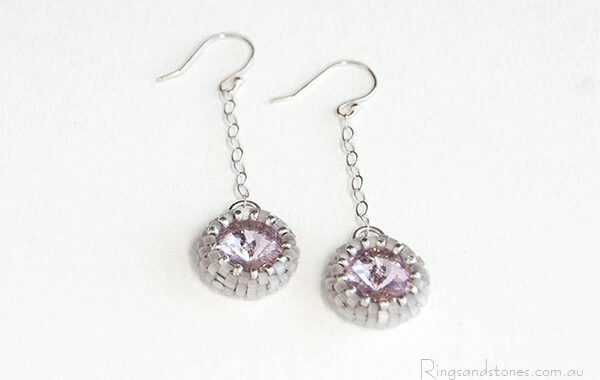 The Swarovski stones are beaded with tiny matt glass beads in light purple-grey. They hang from a fine, reflective oval link sterling silver chain. 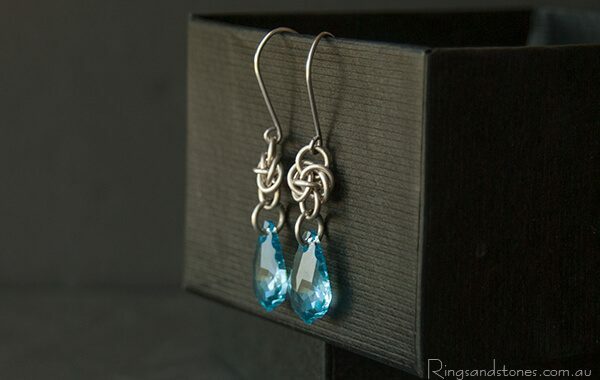 Original, handcrafted earrings. These gorgeous earrings are made to order. They can be made in any colour. Please allow me a couple of days to make your earrings. Length from the top of the ear hook is just under 5 cm (2″). 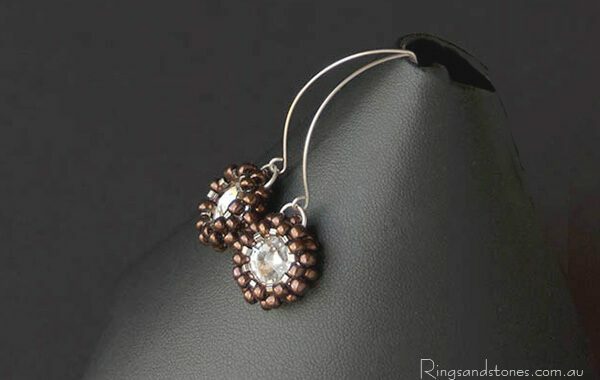 The hand beaded Swarovski crystal stone is 1.5 cm across. All items come packaged ready to give as a gift. I don`t include a printed receipt. A detailed receipt is emailed to you immediately after your order is completed. Upstyle any outfit with these striking, hot, gypsy style earrings.